The first public build was released after announcement of Windows 10. We could see glimpse of some new icons being updated and hopefully the final product will have the whole new UI. It took a while for testing and fixing all bugs found in Windows XP/7/8.1 so I hope I didn’t come too late for the show. I hope to see more features coming soon in future builds. It’d be cool to have something more than just start menu and virtual desktop. The start menu is too simple. It looks like a WIP project. That's screenshot from Windows 7. 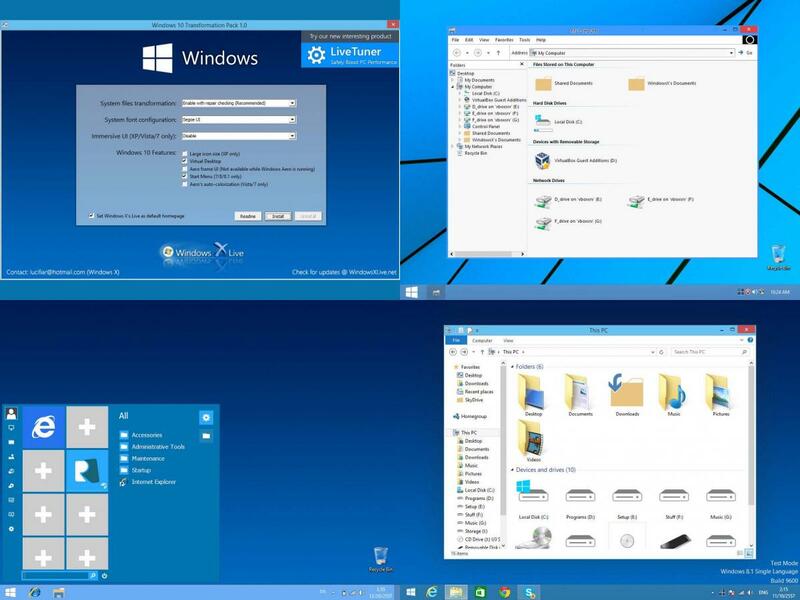 It was mainly designed for Windows 8/8.1 and will look more completed after adding more customization by user.